He was the victim of a witch-hunt at work and was fired because of his radical ideas for developing the company. 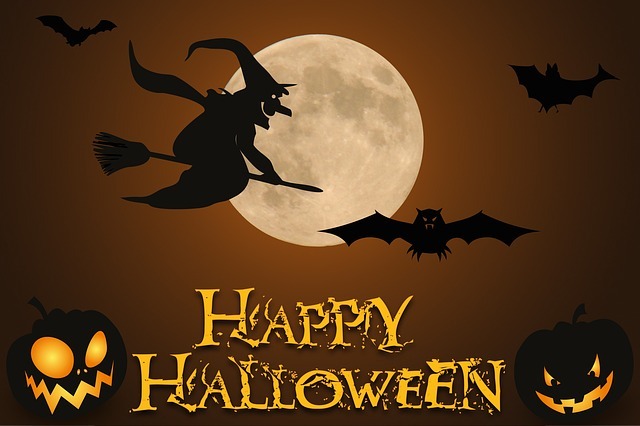 witching hour – witching hour is the time of night when witches, ghosts, and other supernatural creatures are said to appear. I’m not leaving the house at witching hour on Halloween! skeleton in the cupboard – a skeleton in the cupboard is something that might bring shame or embarrassment to a family or person if other people know about it. Mrs. Mills has a skeleton in the cupboard: in 2002 she was caught stealing money from her employer. skeleton staff – a skeleton staff is the smallest number of people needed to do a job. My local doctors’ surgery only has a skeleton staff at weekends. a ghost town – a ghost town is one that has been abandoned and is no longer inhabited. All the young people have left our village and it’s like a ghost town now. spirit away – to spirit away something or somebody (or spirit something or somebody away), is to remove something or someone from a place quickly, secretly and mysteriously. According to legend, she was spirited away by witches in the middle of the night. The horror story chilled my blood. The screams from the haunted house made my blood run cold. in cold blood – to act in cold blood is to do something deliberately and without emotions or mercy. They killed their former friend in cold blood. makes one’s blood boil – if something makes your blood boil, it makes you angry. It makes my blood boil to think that he was promoted to Manager before I was. out for one’s blood / after one’s blood – to be out for someone’s blood is to be determined to get revenge. We beat them at football, and now they are after our blood. put / stick the knife in – to do or say something very unpleasant or very unkind to someone. He really put the knife in when he told her that nobody at work liked her. look daggers at – to look daggers at someone, is to look at them with hatred or anger. Her husband’s ex-wife looked daggers at her. stab in the back – to stab someone in the back is to betray them. We let him stay in our home, but he stabbed us in the back by telling lies about us to everyone. a night owl – a night owl is someone who likes being awake and active at night. I’m a night owl: I do my best work in the evenings and at night. Smell a rat – to smell a rat is to be suspicious about something, to suspect that it is not as it appears. Her new boyfriend said he is a doctor, but I smell a rat: I think he’s lying. a rat – a rat is a person who betrays or deserts their friends or associates. He’s a rat. He sold our plans for the new business to a rival company. not a cat in hell’s chance – no chance at all. This phrase was originally “No more chance than a cat in hell without claws” – which refers to the difficulty of fighting a battle with inadequate defence or weapons. It is often used in situations where there is no hope. We hadn’t a cat in hell’s chance of rescuing our possessions from the fire. scared stiff – if someone is scared stiff they are so frightened they are unable to move. I was scared stiff when I saw the ghostly face at my window. Halloween scares the pants off me! a Jekyll and Hyde personality – someone with a Jekyll and Hyde personality has two sides to their personality: good and evil. This expression comes from the novel The Strange Case of Dr. Jekyll and Mr. Hyde by Robert Louis Stevenson, in which the good Dr Jekyll turns into the evil Mr Hyde. Everybody thinks he is a lovely old man, but he can be very cruel and heartless: he has a Jeckyll and Hyde personality. mad as a hatter – if someone is as mad as a hatter, they are completely insane. It is thought this expression might have its origins in the fact that mercury was used in hat making: this caused nerve damage in the hat makers, making them appear insane. Be careful when you talk to him, he’s as mad as a hatter. Bedlam – uproar and confusion. This expression has its origins in Bethlem Royal Hospital – a hospital in London for the mentally ill.
It’s the school holidays and it’s bedlam in our house. The meeting was absolute bedlam, with everyone shouting and swearing at each other. driven out of one’s mind – to be driven out of one’s mind is to be made insane with worry or fear. I was driven out of my mind with worry when I lost my job and had no money to pay the bills.